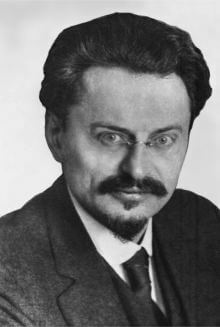 Quotes about Leon Trotsky: The author Alan Woods talked about political life lines: "Trotsky explained that a nationalised planned economy needs democracy as the human body needs oxygen"
The eminent sociologist C. Wright Mills opined this during the Cold War: "Here's to the day when the complete works of Leon Trotsky are published and widely distributed in the Soviet Union. 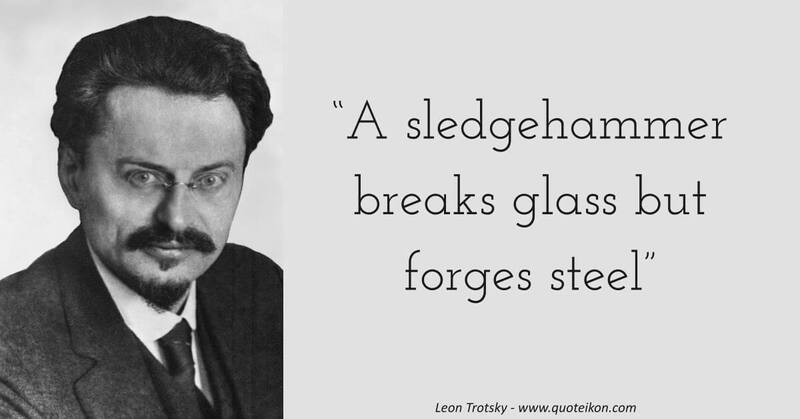 On that day the USSR will have achieved democracy"
Historian Geoffrey Swain was adament who deserved the revolutionary plaudits by saying: "The Bolsheviks triumphed in the Civil War because of Trotsky's ability to work with military specialists, because of the style of work he introduced where widescale consultation was followed through by swift and determined action"
The Russian historian Vladimir Cherniaev touched on a political karma when he said: "Trotsky bears a great deal of responsibility both for the victory of the Red Army in the civil war, and for the establishment of a one-party authoritarian state with its apparatus for ruthlessly suppressing dissent"
Vladimir Cherniaev went on to say that: "Trotsky was implicated in many practices which would become standard in the Stalin era, including summary executions"
"Socialism will open the possibility of great migrations on the basis of the most developed technique and culture"
"Our planet is being turned into a filthy and evil-smelling imperialist barrack"
"Everyone has a right to be stupid, but Comrade MacDonald abuses the privilege"
"Tell me anyway - Maybe I can find the truth by comparing the lies"
"The pillars of Hercules of the United States are vulgarity and stupidity"
"Religions are illogical primitive ignorance. There is nothing as ridiculous and tragic as a religious government"
"Capital was really safer in Russia than anywhere else. ... No true Marxist would allow sentiment to interfere with business"
"Life is beautiful. Let the future generations cleanse it of all evil, oppression and violence, and enjoy it to the full"
"Learning carries within itself certain dangers because out of necessity one has to learn from one's enemies"
"The peasantry, having lifted itself up out of its medieval status, cannot politically generate it's own rage"
"Root out the counter revolutionaries without mercy, lock up suspicious characters in concentration camps... Shirkers will be shot, regardless of past service"
"A means can be justified only by its end. But the end in its turn needs to be justified"
"The life of a revolutionary would be quite impossible without a certain amount of fatalism"
"I felt the mechanics of power as an inescapable burden, rather than as a spiritual satisfaction"
"You may not be interested in the dialectic, but the dialectic is interested in you"
"Art is not a mirror to hold up to society, but a hammer with which to shape it"
"As long as I breathe I hope. As long as I breathe I shall fight for the future"
"Old age is the most unexpected of all the things that happen to a man"
"An ally has to be watched just like an enemy"
"A sledgehammer breaks glass but forges steel"